Great to be back in Alice Springs Central Australia. I shot this from from Anzac Hill looking at the McDonnell Ranges. Alice Springs is a remote town in Australia’s Northern Territory, situated some 1,500km from the nearest major city. It’s a popular gateway for exploring the Red Centre, the country’s interior desert region. Its 1872 origin as part of the Overland Telegraph Line is preserved in the vintage buildings and equipment at the Alice Springs Telegraph Station Historical Reserve. 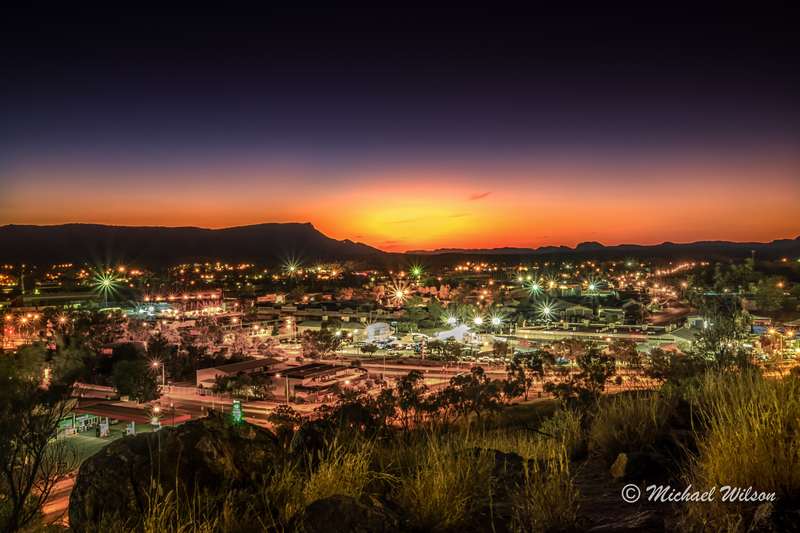 This entry was posted in Photography and tagged Alice Springs, Australia, colour, colour fx pro, Lightroom, Northern Territory, Photography, Red Centre, Sun Set. Bookmark the permalink. WOW! I recognized the place immediately as I have been there 2 years ago. Amazing picture, I love it!